Deutsche Bank is facing headwinds in other parts of the globe, but has hit pay dirt in India. The year 2015 was tough for Deutsche Bank. The Frankfurt headquartered bank hogged the limelight for all the wrong reasons - from shutting shop in some countries to announcing job cuts. In fact, both co-CEOs of the bank, India-born Anshu Jain and Juergen Fitschen, made hasty exits. But amid the gloom, the Indian unit of the bank stood out. It bucked the global trend to report an impressive performance - almost an outlier in Deutsche's global map. The numbers speak for themselves. A massive 93 per cent jump in profits to Rs 1,406 crore in 2014/15. The loan book increased by 25 per cent to Rs 36,138 crore. It also has the best asset quality at a time when banks in India are witnessing a deterioration in the quality of their loan books. In fact, Deutsche Bank India's asset quality (0.13 per cent) is far superior to other large foreign banks in India including Standard Chartered, Citibank and HSBC India. Ravneet Gill, the CEO of Deutsche Bank India and the man who delivered the outstanding performance, attributes it to a multi-pronged strategy - focusing on the right client segment and product suite, risk management and cost discipline. "There is also a strong commitment from regional and global management," says Gill, who entered the corner room in South Mumbai's Deutsche House some three-and-a-half years ago. Gill replaced Gunit Chadha, who had been elevated to the position of CEO, Asia Pacific. "We will bring new products, technologies, risk management strategies, etc. Foreign banks are committed to India and will continue investing"
Indeed, even as the global bank was witnessing a restructuring of sorts, Gill claims that access to capital was never a constraint as the management is committed to India. Clearly, Gill recalibrated the client strategy of the bank to enhance profitability and manage risks. "The focus was on growth sectors while avoiding troubled sectors like infrastructure. We focused on balance sheet solutions for corporate India given the leverage many companies are carrying," says Gill. The bank has exposure to chemicals, metals, engineering and NBFCs. The bank's big borrowers include Larsen & Toubro, Reliance Industries and Wipro. The bank also brought in more sophistication to trade finance products. "We started looking to solve for tenor and complexity, which provided companies with cash flow relief. The strategy of offering the right products to the right client segment worked for the bank," he adds. Deutsche Bank set shop in India in 1980 and is the fourth largest foreign bank after the biggies Citi, HSBC India and Standard Chartered. It has been steadily growing deposits in the country. Indeed, in 2015 the bank recorded its highest ever deposits growth at 48 per cent. In the past three years, it has grown at a compounded annual growth rate (CAGR) of 32 per cent. In a challenging business environment where the loan growth of the entire banking system has been below 10 per cent annually, Deutsche Bank grew its book at 25 per cent in 2014/15. In fact, it is ahead of all banks in India with a CAGR of 42 per cent over the past three years. The bank's fee income to total income is very high at 11.40 per cent, one of the highest in the foreign banking pack. It also has a comfortable capital adequacy ratio of 15.62 per cent. While the bank is a big player in the wholesale segment, the retail business actually held up well from the revenue and asset quality perspectives. The bank has been growing its mortgage and business banking (SME) business despite having only 17-odd branches. In fact, its foreign peers including HSBC, Citi and Standard Chartered have 50 to 100 branches in India. Gill says there is enough opportunity and headroom to grow these businesses despite having fewer branches. "We will continue to invest more. In retail and business banking, the asset size continued to grow consistently," says Gill. Retail business is relatively small in absolute size for the bank, but is clocking 25 per cent to the bank's overall revenue growth. JP Morgan's lending philosophy, focused on client selection and cash flow-based underwriting principles, helps it to ensure quality of assets. The lines of businesses take full ownership and are held accountable, as the first line of defence, to the clients they bring to the bank. Any credit underwriting is independently assessed by the credit risk division. 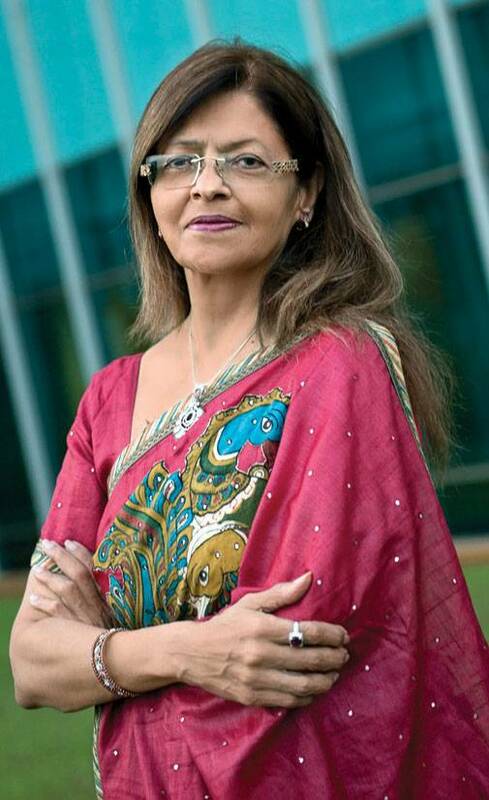 "In lending, we look for track record, inherently the intent to pay, coupled with cash flows rather than relying only on the value of security in assets," says Kalpana Morparia, CEO, JP Morgan India. The bank's cost to income ratio has been kept at a low 0.13. It's a result of strong risk management and a disciplined approach towards expense management. "This approach has helped us keep the NPA at zero level, and expenses almost flat over the past few years. The bank is well-capitalised with a capital adequacy of 17.07 per cent to support future growth," says Morparia. In fact, the bank has been a late entrant in retail banking as compared to other foreign banks. Gill disagrees that Deutsche Bank was conservative in retail banking. Instead, he terms it as a focused approach. Around 10 years ago, when Deutsche started the business, the bank was clear that it would never get into consumer lending in a big way. It had a credit card business, which was profitable. "We were, however, finding it difficult to scale it up organically. Inorganic growth was difficult as the valuations were high. We then decided to divest the business and put the money in high-growth businesses. So it was a conscious decision," explains Gill. The bank's asset quality is high because of the rigorous client selection strategy. "Our focus, globally, is to sharpen the focus on client selection. We put dedicated resources in terms of people and capital so as to build deeper relationships with the clients," says Gill. Clearly, the strategy is to focus on a few key clients but serve them better. At the same time, the bank stayed away from infrastructure financing because of the headwinds. "We have absolutely no exposure in sectors like power, roads and aviation," says Gill. Looking ahead, he says that power and road sectors are finding favour with banks again, after reforms initiated by the Modi dispensation and increased government spending. "Some other sectors like steel need intervention from the policy point of view. Cheaper import has put the sector under a lot of strain," he adds. The ability of the bank to manage risk is important, Gill states. "You need to come up with products which are structured in a fashion that risks can be contained and isolated." Gill says that the large MNCs who want to invest in India feel secure with the present administration. "No one is worried about retrospective tax. The comment of the finance minister against tax terrorism has also given confidence. FDI will increase in the coming days," he says. The gap in foreign investments in China and India will narrow in the coming years, according to him. FDI inflows into India will benefit banks like Deutsche Bank, which have a global network. In fact, RBI is also encouraging foreign banks - who can only operate through branches in India - to set up a subsidiary in India for more freedom in setting up branches and also acquisitions. "You don't need branches to grow in the country, given the kind of role technology or digital banking is playing now," says Gill. While he is not very keen on a subsidiary model, Gill says the bank wants to play a role in improving financial inclusion in India. "We will bring new products, technologies, risk management strategies, etc. Foreign banks are committed to India and will continue investing," he adds.